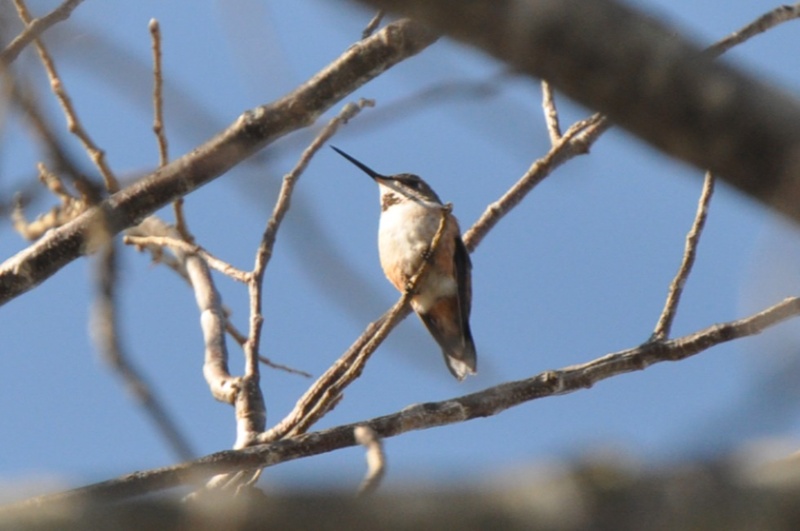 Several local birders have spotted this late-arriving female Rufous hummingbird at the feeders at Musick’s Campground, Bristol, Tenn. Hummingbirds are hard enough to spot this time of year and even harder when it’s not a “native” species. The rufous summers basically on the California coast north from San Francisco and then winters along the Texas gulf shores. They end up here more often than a person might imagine but not all that much. The folks at Musick’s had two feeders up and a warming lamp all to attract and keep the rufous long enough to band her. As of December 15, 2015, today, as I write this, she was reported missing and might be on her way south. We wish her good luck! 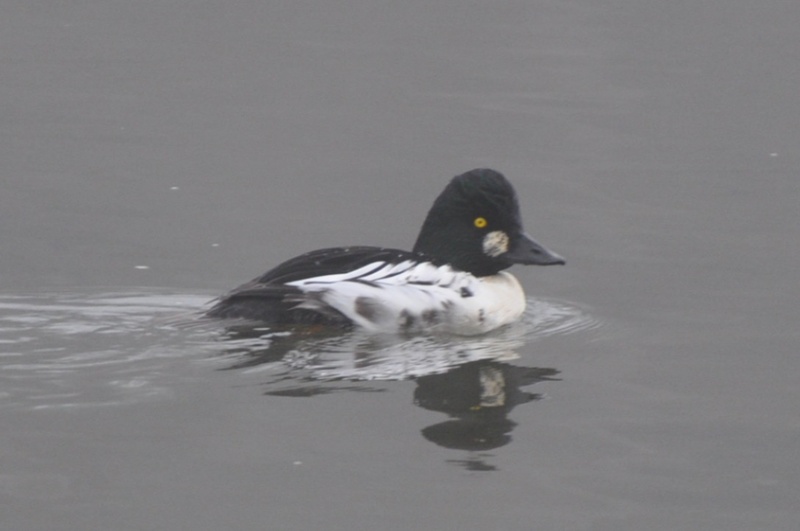 This Common goldeneye photograph was taken in the fog at Osceola Island, just downstream from TVA’s South Holston Dam. Size is deceptive. The goldeneye is smaller than a mallard and easily bigger than bufflehead, which is also black and white. It is a winter duck in these parts. The cheek patch of white is what really gives the goldeneye away. Bufflehead seem to zip around a lot amongst the more sedate goldeneye and mallard. Roy Knispel was fortunate that the goldeneye stuck closer to the dam than most of the rest of the flocks. A very heavy fog was just beginning to lift that morning otherwise this picture would just have been all white.